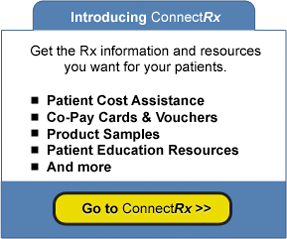 This question and answer service known as Code Quick (the “Service”) is made available on http://www.connectrx.com (the "Website"). The Service is provided by ICD-10 Coders Academy ("ICA") and the Website is operated by Medical Education Resources, LLC ("Physicians Office Resource” or the “Company”). The information, content and documents from or through the Website or the Service are provided “AS-IS”, “AS AVAILABLE”, WITH “ALL FAULTS”, and ALL WARRANTIES, EXPRESS OR IMPLIED, ARE DISCLAIMED (INCLUDING BUT NOT LIMITED TO THE DISCLAIMER OF ANY IMPLIED WARRANTIES OF MERCHANTABILITY AND FITNESS FOR A PARTICULAR PURPOSE). The information and services may contain bugs, errors, problems or other limitations. Neither Physicians Office Resource nor ICA nor either of their affiliated parties have any liability whatsoever for your use of any information or service made available through the Website or the Service. In particular, but not as a limitation thereof, Physicians Office Resource, ICA and/or either of their affiliated parties are NOT LIABLE FOR ANY INDIRECT, SPECIAL, INCIDENTAL OR CONSEQUENTIAL DAMAGES (INCLUDING DAMAGES FOR LOSS OF BUSINESS, LOSS OF PROFITS, LITIGATION, OR THE LIKE), WHETHER BASED ON BREACH OF CONTRACT, BREACH OF WARRANTY, TORT (INCLUDING NEGLIGENCE), PRODUCT LIABILITY OR OTHERWISE, EVEN IF ADVISED OF THE POSSIBILITY OF SUCH DAMAGES. The negation and limitation of damages set forth above are fundamental elements of the basis of the bargain between us and you. The Website and Service and the products, services, documents and information presented would not be provided without such limitations. No advice or information whether oral or written, obtained by you from us through the Website or the Service or otherwise shall create any warranty, representation or guarantee not expressly stated in this agreement.